In October 2016, at the Expert Summit in Reading, UK, we made available for purchase the Directory Panel on a limited bases. Certain customers who purchased prior to October 15th, under the terms of their purchase, will receive the Directory Panel provider, once it generally released and not longer requires an engagement from SoftwareIDM engagement or special assistance for deployment. That is expected to be in 2018-Q1. 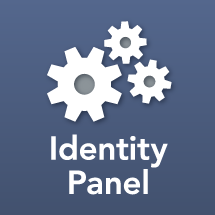 Customers who wish to run Identity Panel simply for its directory features, or want to add the Directory Provider to their Identity Panel purchase, are required to purchase or own an Identity Panel Core Framework license, have an Identity Panel Knowledge Package subscription, and have a Software Maintenance Subscription for Identity Panel Core Framework. Additionally, because of the complexities of the directory provider, the customer must have an engagement with SoftwareIDM for deployment or must attend training, and have a software maintenance subscription.